Our evening began aboard Kona Ocean Adventures with Captain Danny, capable and hilarious, at the helm (Insider tip: Danny also makes a mean salsa!). We each donned a wetsuit and set out toward the open sea. Our destination? Manta Heaven! Because where else would you find these angels of the ocean? 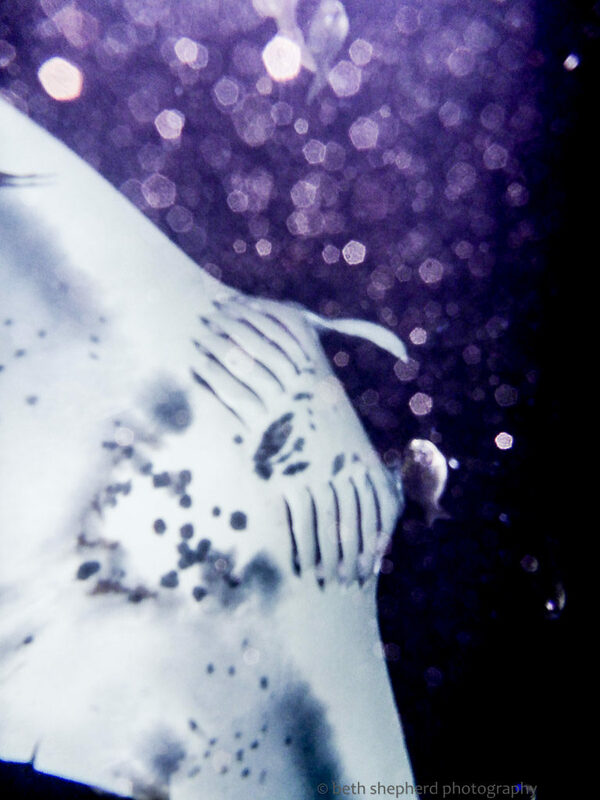 The mantas at Manta Heaven and also at Manta Village, another site nearby, have been coming to feed in varying numbers almost every evening for more than 15 years (the record number being 42 on July 4, 2013). Manta Village is the original site where everything started back in the early 70’s, when the Kona Surf Hotel opened. The resort illuminated the surf zone with bright floodlights, so guests could enjoy the beauty of the wave action at night from the rooms and public viewing decks. Unintentionally, this attracted manta rays to the area because the lights caused planktonic marine life to concentrate in the water near the shoreline. Over time, the mantas “learned” that this was a favorable feeding area. Because of this learned behavior, Hawaii is the only place in the world where you can be an arm’s length away from this remarkable and beautiful creature. In 1991, Jim Robinson, prior owner of Kona Coast Divers, decided to schedule scuba night dives on Monday nights in front of the resort, because he was aware that mantas were frequenting the area. He also had custom built underwater lights made up to set on the bottom thereby drawing the manta rays away from shore into deeper water where it would be easier to position groups of divers. It was an instant success. Other dive operators then followed suit. Marine life interaction guidelines were established to ensure that the rays were not harmed. At that time, James Wing had the video concession at Kona Coast Divers, so he covered manta dives as well. In its early stages, the Manta Ray Night Dive was scheduled once a week, yet it was only a matter of time before boat operators would be doing this every night. Over the years, more rays were conditioned to feed at the Kona Surf Hotel at night. However, in May 2000, the Kona Surf Hotel was closed and the lights were turned off. The mantas stopped frequenting the area until the resort re-opened as the Sheraton Keauhou Bay Resort & Spa in October 2004. When the Sheraton Keauhou Bay Resort & Spa planned their re-opening, James Wing teamed up with the resort to re-create a favorable manta venue. A short time later, mantas returned and many new manta rays have been identified and named since. James also created the stone circle, known as the “campfire.” which has been used as a point of reference to settle divers in the sand in the least disruptive way. It is still used to this day. Mantas are one of 11 species in the ray family and were split into two species in 2009, Manta birostris (the giant oceanic manta) and Manta alfredi (the resident reef manta). Giant manta rays are found in the Eastern Pacific and embark on significant ocean crossings, whereas reef manta rays stop at Hawaii and French Polynesia.The mantas we saw in Hawaii are Manta alfredi and have cephalic fins on either side of their head, which are used to funnel plankton-rich water into their mouths while feeding Note: our gal Koie had one of her fins caught in a fishing line and damaged. You can see how her left cephalic fin is mostly missing in my photos. Fossil records suggest rays have been around in their modern form for at least 20–25 million years, and true manta rays first appeared in the fossil record approximately 4.8 million years ago. Although they originally evolved from stingrays, manta are harmless and cannot sting. Manta rays have distinct spots and blotches on their stomachs, which help researchers when trying to count their numbers. Koie had an easily identifiable ‘W’ on her stomach which you can see in one of my photos. Manta have the largest brains of all 32,000 species of fish known to date, and they display intelligent behavior, such as coordinated and cooperative feeding. 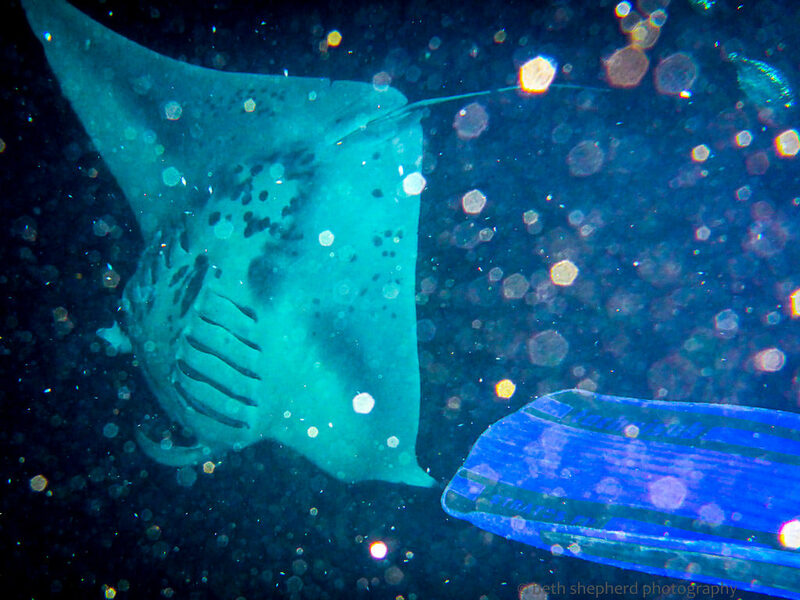 On our snorkel trip, we were lucky enough to see as many as eight manta rays at one time! Manta rays are very vulnerable to overfishing. 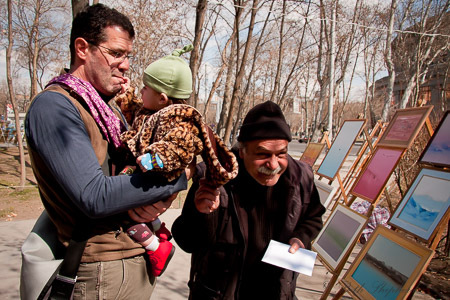 They produce only one large baby on average every one to three years. They also grow slowly and have a long lifespan, up to 25 years and possibly as long as 50-100 years. Some wild manta rays have been seen over 30-year-period. Sadly, manta (and other ray) populations have dramatically decreased over the past decade as a result of demand for their gill rakers from China, where they are sold as medicinal products. 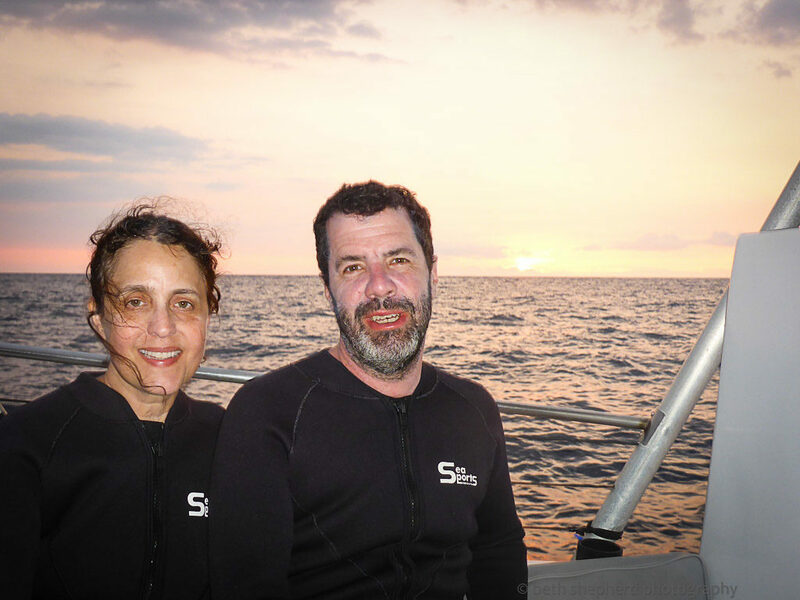 In the waters off Kona, the mantas are protected. As of June 5, 2009, the Governor of the State of Hawaii signed Act 092(09) making it illegal to kill or capture manta rays in Hawaii. Penalties included up to a $10,000 fine and forfeiture of any manta rays, commercial marine license, vessel, and fishing equipment. I was also really impressed with how much our captain (and other boats) emphasized that we should not touch the mantas, because they have a protective slime coating on their body. Touching removes this mucus layer and compromises the creatures immune system. Fascinating facts aside, there is something indescribably magical about being IN the water with these magnificent creatures. But first–full disclosure–I have not snorkeled much in the ocean and I confess the thought of climbing into the water–at night–was a bit unsettling. Of course, on our way over, Captain Danny had regaled us with stories of coming face to face with a Tiger shark (though not while diving with mantas) not far from where we were snorkeling, which made my overly active imagination run wild. As we swam from our boat to “the campfire,” a spot where boats congregate for divers and snorkelers alike, the water was dark, really dark. I did find my mind wandering and my eyes scanning the water for any signs of…well you know, Jaws. But the truth is, sharks are rarely spotted and those that are (usually reef sharks), are shy and stay a safe distance away. When we reached the campfire, there were a lot of people: some snorkeling on top of the water and others diving below. The tours are really good about keeping divers on the ocean floor and snorkelers on the surface, so the stars of the show–the mantas–can swim freely without much disruption. On the surface, however, sometimes things got a bit crowded and I took a fin to the face once or twice (ahem…that blue fin in my top photo). But once we saw OUR FIRST MANTA, any concerns about killer sharks or errant snorkel fins, were the last thing on my mind. 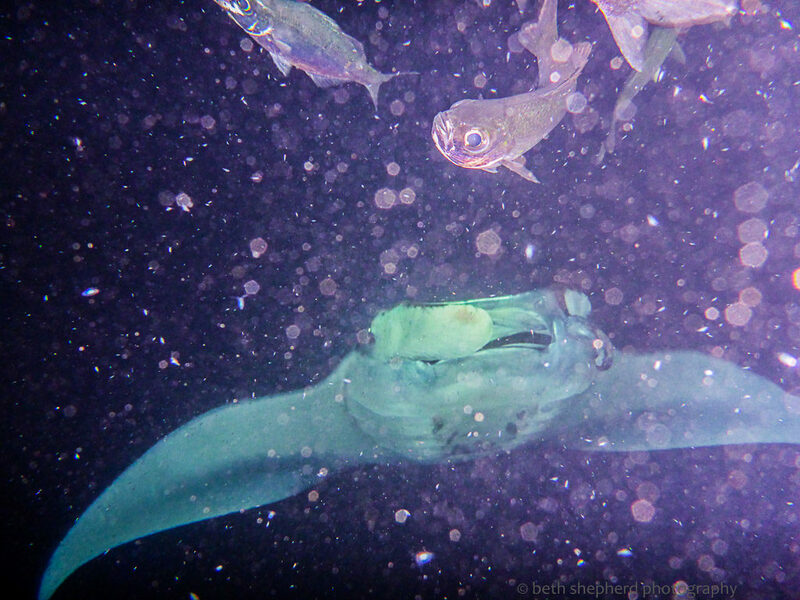 The way the night dive works is the boats turn on underwater lights (and there are also lights set up on the ocean bottom where the divers congregate), the lights attract the plankton and the plankton attract the mantas (who are now habituated to this set-up) and voila–Manta Ray banquet commences. On our night out we got very lucky and first one, then three and ultimately upwards of eight mantas were dipping and diving, swirling and turning right below us. And I do mean right below us. 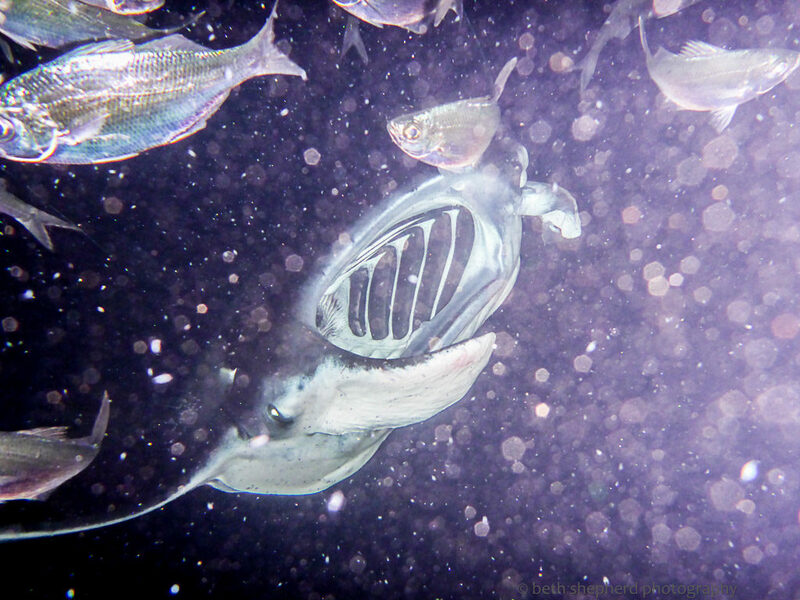 I am still somewhat amazed I got any photos or video given my excitement (and my sub-par underwater camera). All around us people were yipping and hollering, elated with the beauty of these incredible animals, and I was alternately holding my breath and hyperventilating from all the excitement. Koie was, without a doubt, the star of the show and there were moments when she was being “chased” by two males, and occasionally rolling around with one. We were told that we might have been privy to “manta mating train,” when male mantas attempt to woo a female.Koie was magnificent, even with her scars and fin deformity. I was truly mesmerized watching her dance in the moonlit water, whether she was performing a graceful solo adagio or a delightful pas de deux. Our nighttime manta snorkel excursion was an experience I’ll remember for the rest of my life. Being belly to belly with these gentle giants is awe inspiring. If you ever find yourself on the island of Kona–go do this! Here’s an underwater video I took of Koie during our trip. If you want to learn more about Manta Rays, take a look at this fabulous website: Manta Rays Hawaii. Super informative and if you plan to visit the mantas of Kona you can learn about each individual ray. Pretty cool, don’t you think? And if you want to help support manta populations, check out some of the wonderful conservation organizations such as: Manta Pacific, Manta Ray of Hope, and Manta Trust. 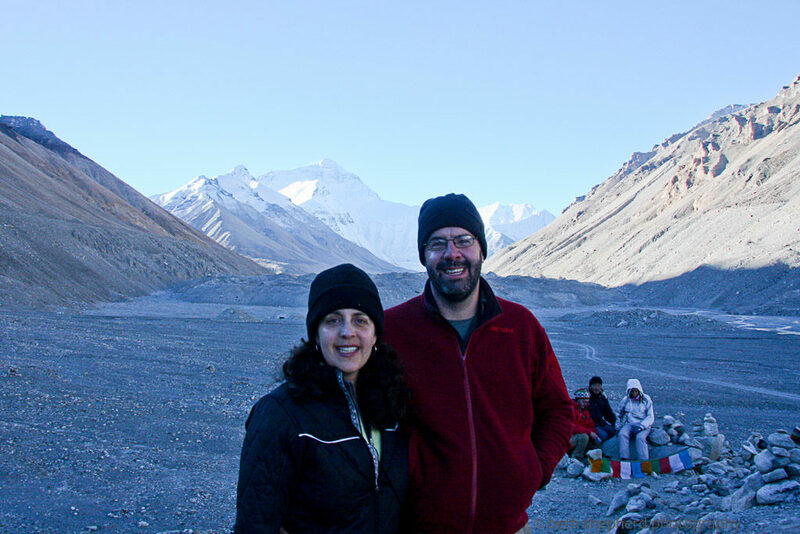 There we were, breathing in the air–what little of it there was–on top of the tallest mountain in the world! If you’re guessing I recently added my name to to the 4,000+ people who have summited Mount Everest, guess again. I was in Hawaii on the summit of Mauna Kea, which is really the tallest mountain on earth if you measure from stem to stern. 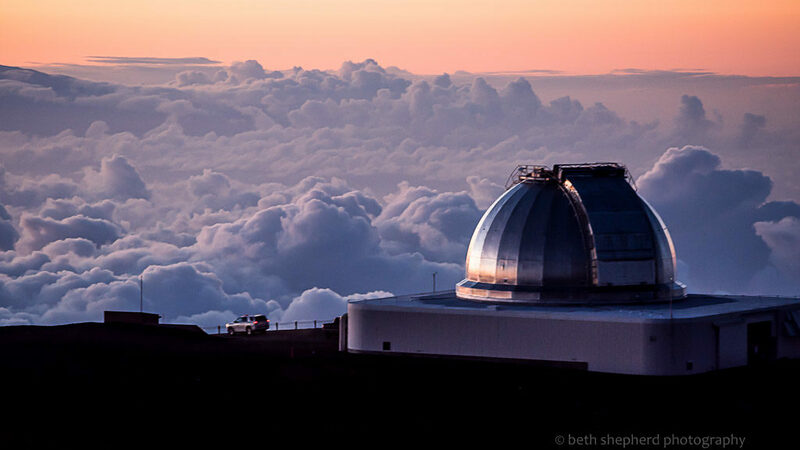 At 13,796 feet (4,205 meters) above sea level, Mauna Kea is only 110 feet (35 meters) higher than its neighbor Mauna Loa, and is the highest point in the state of Hawaii. 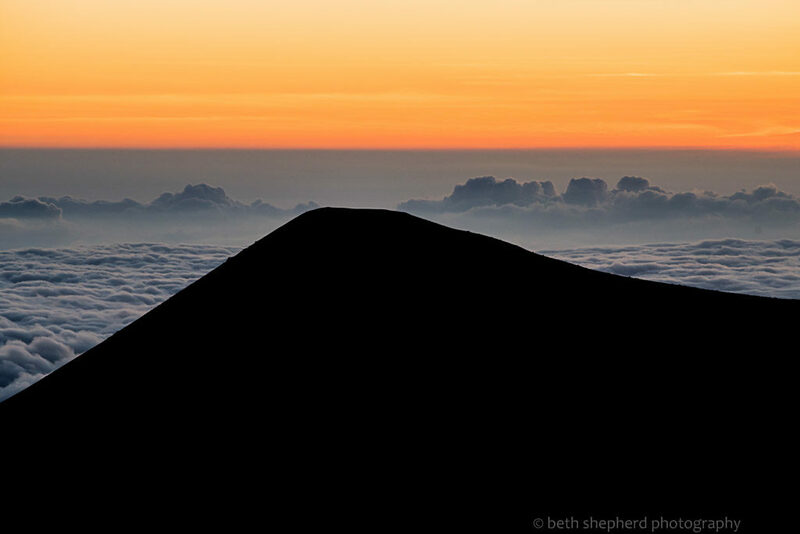 Measured from its base on the ocean floor, Mauna Kea rises over 33,000 feet (10,000 meters), significantly greater than the elevation of Mount Everest. 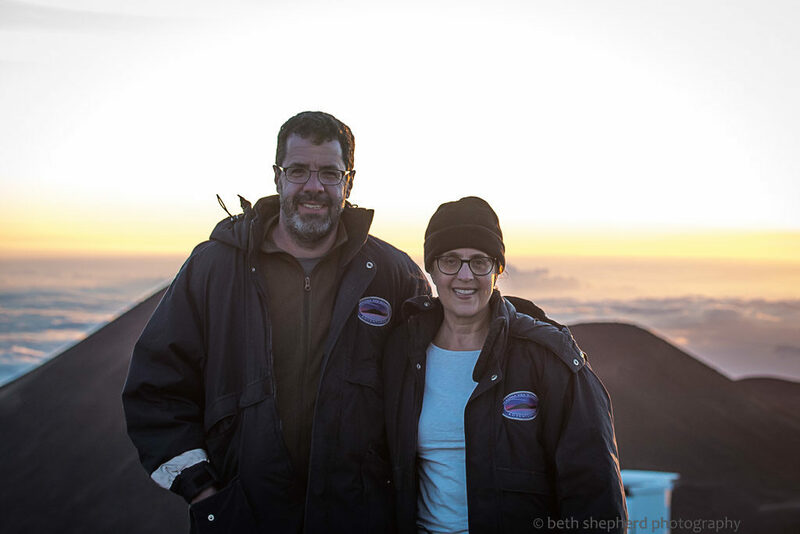 On tour with Mauna Kea Summit Adventures, we drove to the visitor center at 9,200 feet (2,800 meters) to have dinner and acclimate to the elevation before heading to the summit for a spectacular sunset. Aside from experiencing air that has 40% less oxygen than you’d inhale at sea level, we learned about the telescopes and observatories on the summit. My husband, Joel, is an astrophotographer in his off-hours. He spends a lot of time (and many very late nights) taking photos of distant stars, nebulae and galaxies. I photograph all sorts of things on this planet, but I am in awe of what can be captured with astrophotography because it is so far out of the realm of my understanding and expertise. After sunset, we left the summit and drove back down a few thousand feet, to a spot near the visitor center where our tour guides set up a couple telescopes so we could look at objects in deep space. Amazing! Despite weather that had been anything but clear and a moon that was more than half full (generating a lot of distracting light), we were able to view a double star, star cluster and a nebula. Joel even managed to score an extra bonus–just for the two of us to view–the Omega Centauri globular cluster, basically a ball of…oh, only 10 million stars! 15,800 light years away. Try to wrap your brain around that! 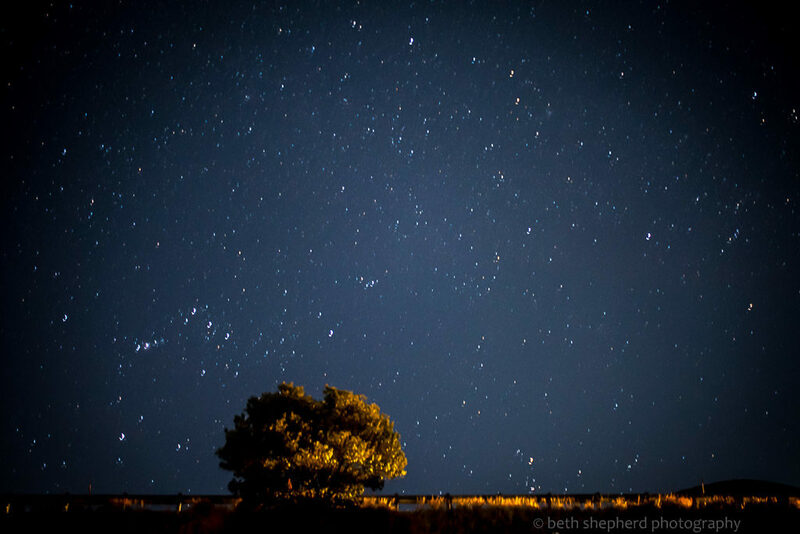 While we were there, I tried to get a few photographs of the night sky, something I’ve never done before. It was fun but my results let me know I’ve got a steep learning curve ahead of me. Being on the top of the world on Mauna Kea was a breathtaking experience, in every sense of the word. As my husband will say, whenever we see something noteworthy, “I haven’t seen anything like that since the high slopes of Everest.” And it’s true. I haven’t been at an elevation this high or seen a sky filled with so many visible stars since 2009, when I had the great privilege to stand at Mount Everest base camp in Tibet. Both times I was struck by the same thought–here I am on the tallest mountain in the world and I feel so small. Just a speck on this planet. Looking into the night sky on Mauna Kea I was again reminded how the Earth is one small speck in our solar system. But what a beautiful speck it is! One of my favorite things about traveling is trying new food, especially fruit and vegetables that I’ve never seen before. 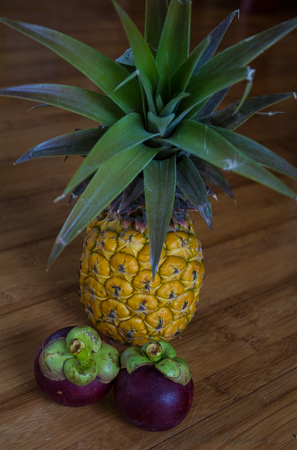 So on our recent trip I was in heaven when we found ourselves surrounded by fantastical fruit in Kauai: mangosteen, longan, rambutan, jackfruit, tiny latundan (apple) bananas, and small sweet low-acid pineapple–just the tip of the tropical iceberg –of exotic fruits and vegetables to be found at farmers markets, grocery stores or simply growing by the roadside. 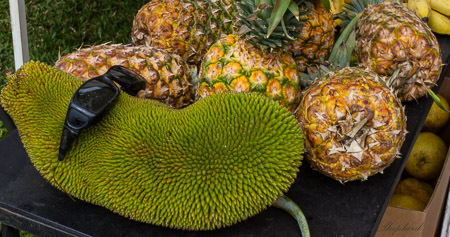 The flesh of the jackfruit is starchy and fibrous and is a source of dietary fiber. The flavor is comparable to a combination of apple, pineapple, mango and banana. 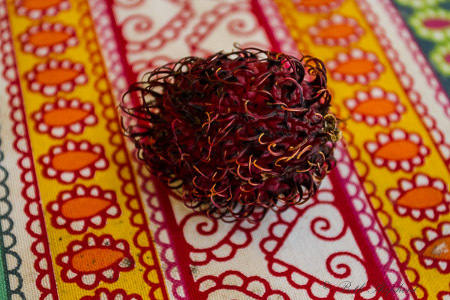 I loved this fruit! Juicy, silky, decadent, sweet, fragrant with a flavor like strawberry, peach, vanilla ice cream. 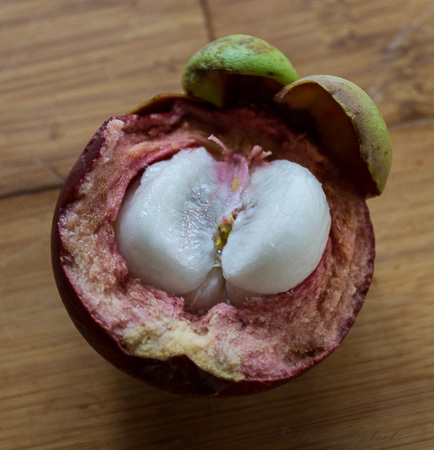 Long illegal in the U.S., due to the belief that they harbored the Asian fruit fly, mangosteens are no longer contraband. The ban was lifted in October of 2007, which I was delighted to find out. This pineapple was so aromatic and the fruit was sweet and very low-acid. Fabulous! 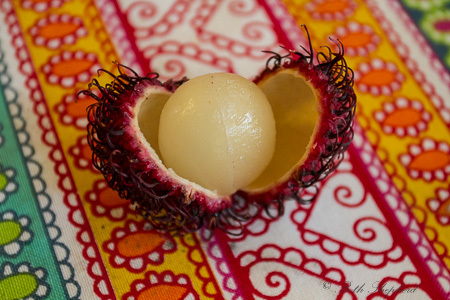 A bit chewy (grape-like texture) with a lychee-like flavor (but not as drippy). How could you not like this funny looking fruit? These bananas were the bomb. 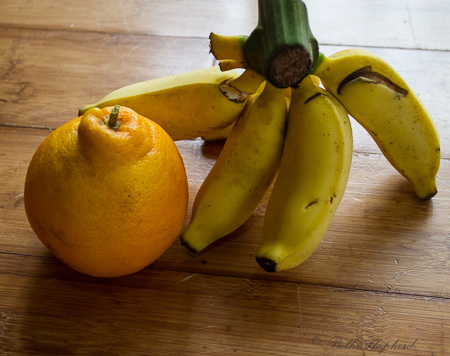 Small (many times I’ve wanted a little bit of banana which is nearly impossible given the size of bananas we typically see in the U.S.) with a tangy apple taste. The rain in Kauai might have fooled me into thinking I was still in Seattle. But the fruit–ah, the fruit–definitely tropical paradise. 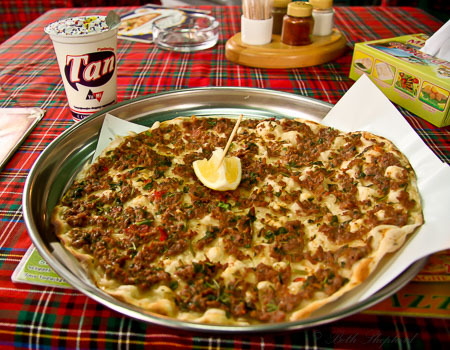 And for more exotic eats, check out Wanderfood Wednesday! We just returned from two very rainy weeks on the north shore of Kauai. 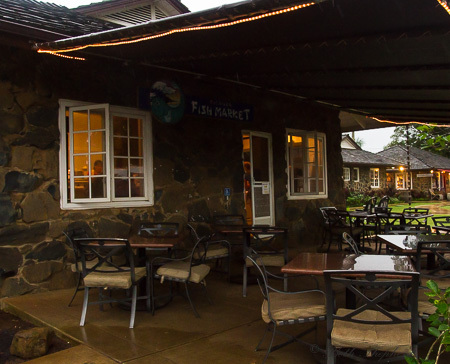 While there we made numerous trips to the Kilauea Fish Market, a tiny gem tucked away in Kiliauea, the town where we’ve stayed on both of our trips to this Hawaiian island. By the end our vacation we were regulars, faithfully stopping by to get an order to go, a brilliant plan because dining out with a toddler is a challenge. Plus we had a lovely, private and quiet (except for the toddler) cottage to return to. There’s so much to like about this place: it’s convenient (if you’re staying in, or passing through, Kilauea), service was quick (it typically took about 15 minutes to prepare our meal), the little shopping center where the fish market is located (skate and surfboard shop, gift shop) is cute, you can eat outside on the patio or take your food to go, the staff is friendly. 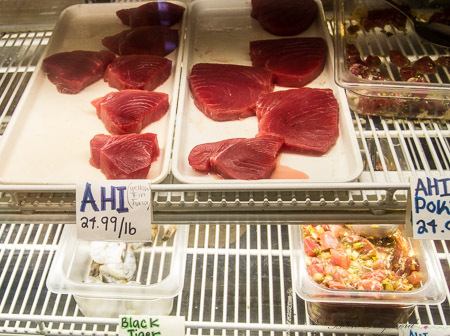 But the main reason I heart Kilauea Fish Market–the fish is outta this world! 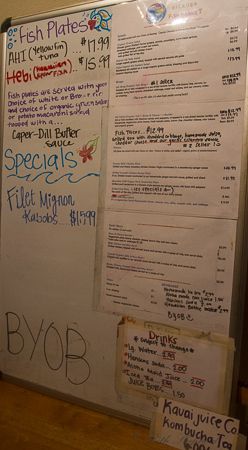 It really didn’t matter what we ordered: Cajun Ahi fish plate, fish tacos, seaweed salad, Ahi poke, or burritos (okay, not on this trip, but the last trip before Big Papa went gluten-free)–we tried almost everything on the menu–and it was all mouth-watering delicious. Fish plates came served with a side of rice (brown or white) and your choice of green salad or potato-macaroni salad and you could order your fish to specification (seared, cooked through). Usually we got a couple fish plates to go, but on one occasion we ordered a pound of Ono fish to take home and prepare ourselves. 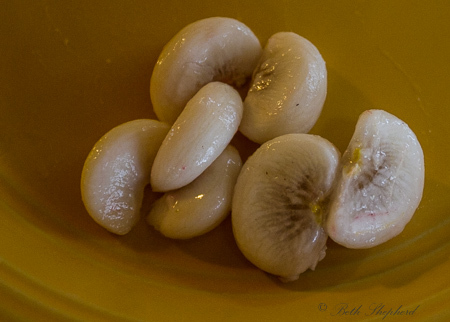 In Hawaiian, Ono means “sweet, very good to eat,” and another name for Ono is Wahoo! How could you not like a fish called Wahoo? Kilauea, I don’t miss the torrential downpours we encountered during our vacation, but I sure do miss your fish! More posts about our Kauai trip to follow–Aloha! 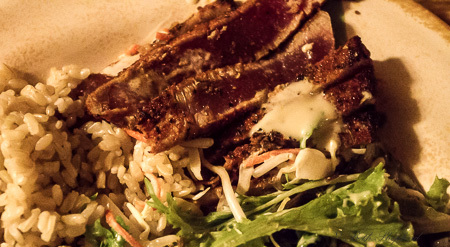 And check out more yummy posts on Wanderfood Wednesday! A few months ago, Big Papa ventured into gluten-free land. He did not go willingly –it took a number of years, at least seven trips to the emergency room (he has a rare allergic reaction to a combination of wheat and exertion which can result in anaphylaxis), and some clever insistence on the part of his wife (me) to convince him to at least give it a try. After his last ER trip, I decided it was time to experiment with gluten-free products, starting with cereal, bread and pasta. My own memories of gluten-free forays (friends who couldn’t eat wheat) did not leave a pleasant taste in my mouth. I remember rice pastas that were gummy and mealy textured, and dry, flavorless bread. I brought home several boxes of granola cereals, four different sliced breads, a package of dried pasta and fresh Manini’s gluten-free pasta. Big Papa found several cereal options; that was an easy switch. Udi’s bread and bagels are great for sandwiches and snacks, and Udi’s thin pizza crusts are now a “regular” item in our dinner rotation. We both gave the dry pasta a “meh” rating (though gluten-free pasta made from quinoa flour was the tastiest). Then we tried Maninis fresh pasta. Wow! I actually made a pasta dish, using Maninis Gluten Free Lemon-Thyme Linguini and did not tell Big Papa it was gluten-free. He couldn’t tell the difference and neither could I. Thanks must be given to the Pacific Northwest because we are blessed to live in a place where we have so many gluten-free options (and the only place Maninis fresh past is sold). 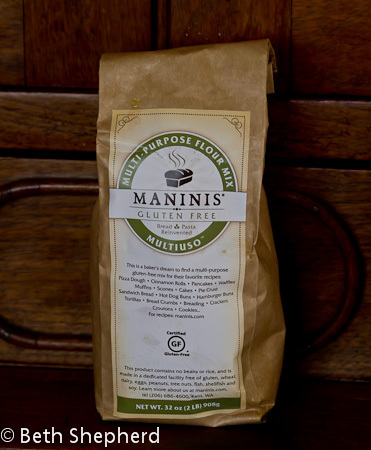 So when I discovered Maninis Multiuso Multi-purpose flour at PCC (which you can buy online! ), my culinary light bulb flashed on, and along with it the answer for the five overripe bananas on our counter: Gluten-free Banana Bread. I searched recipes on the internet, found one that looked good, and tweaked it a bit to make it mine. The tweaking involved swapping out pedestrian walnuts for creamy, rich Hawaiian Macadamia Nuts (a souvenir from a trip to Hawaii). Wow again! Gluten-free banana bread made with Maninis flour was moist and delicious, really delicious. If someone put a blindfold on me, gave me one slice of wheat-based banana bread and one slice of this gluten-free banana bread, I would be hard-pressed to know which was which. Gluten-free cooking is new to me, but after my inaugural baking success, I’d say there’s a strong likelihood there will be more to come. 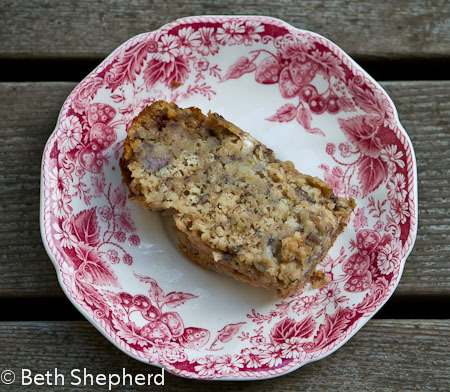 Make this recipe and I promise you’ll find it hard not to eat the entire loaf! In a large bowl, combine the flour, baking soda and salt. In a small bowl, whisk the eggs, bananas, sugar, applesauce, oil and vanilla. Stir into dry ingredients just until moistened. Transfer to two 8-in. x 4-in. loaf pans coated with cooking spray (or rubbed with some oil). 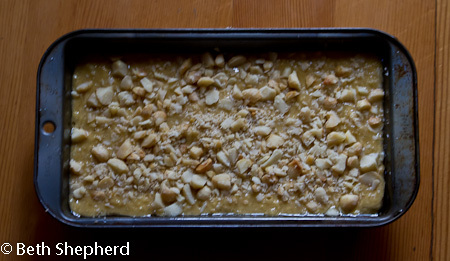 Sprinkle with Macadamia nuts. Bake at 350° for 45-55 minutes or until a toothpick inserted near the center comes out clean (found it was moist and needed more time, but check at 45 minutes and then cook for 10 minute increments). Want to broaden your culinary horizons? 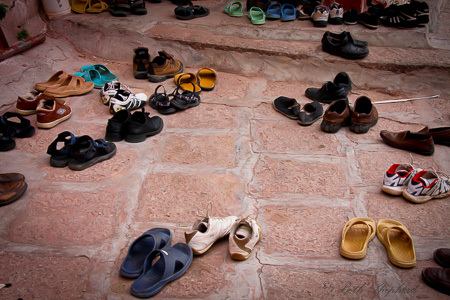 Check out Wanderfood Wednesday! 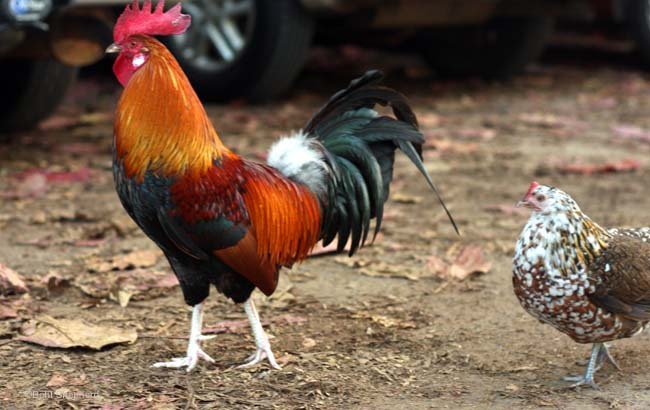 One of the things Big Papa and enjoyed the most during our trip to Kauai, was the beauty of the vistas, the flora and the fauna – both wild and domestic. Here are a few picture of animals we saw (and loved). 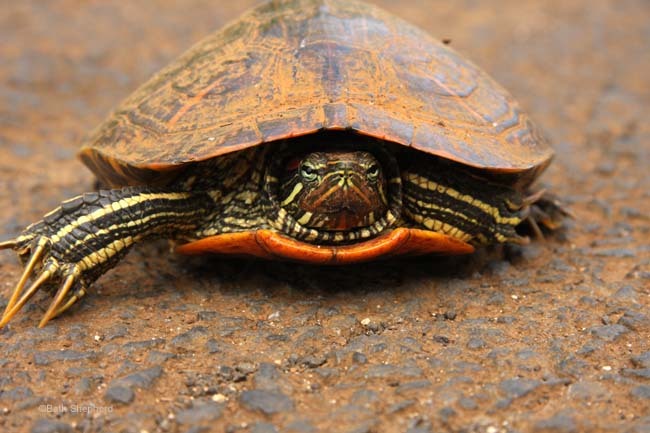 Kauai turtle: okay, not the big Sea Turtle (Honu) but a smaller land-going variety which we nearly ran over with our car. He was being bothered by a rooster and we intervened and found him safer ground. 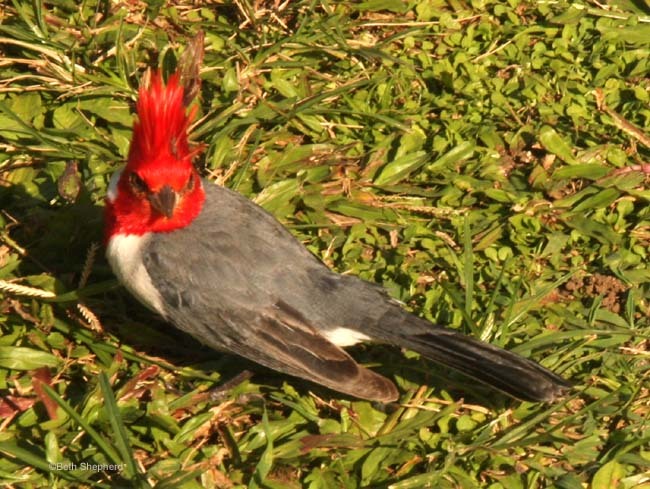 Kauai Red-crested Cardinal: so cute and check out the ‘do’! 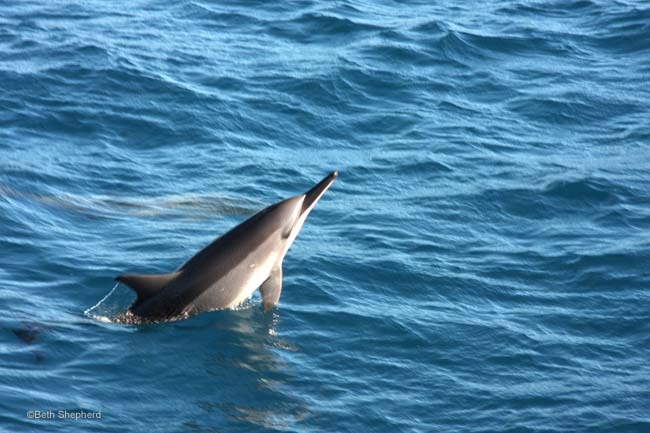 Kauai spinner dolphin: we were fortunate enough to be out on the water and saw an entire pod, leaping and playing in the water. 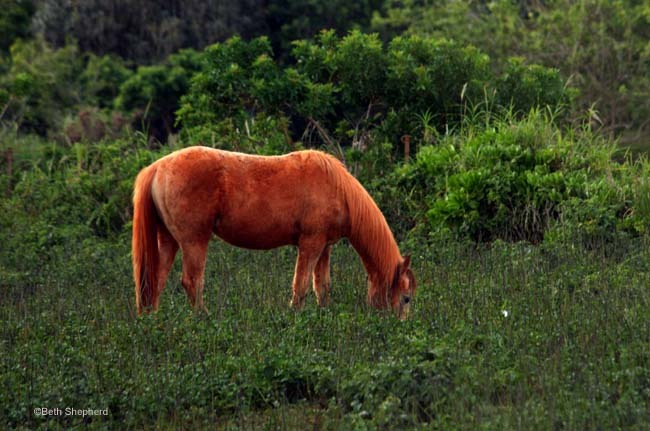 Kilauea Kauai red horse: we watched this beautiful horse, the color of the soil on Kauai, graze at sunset. 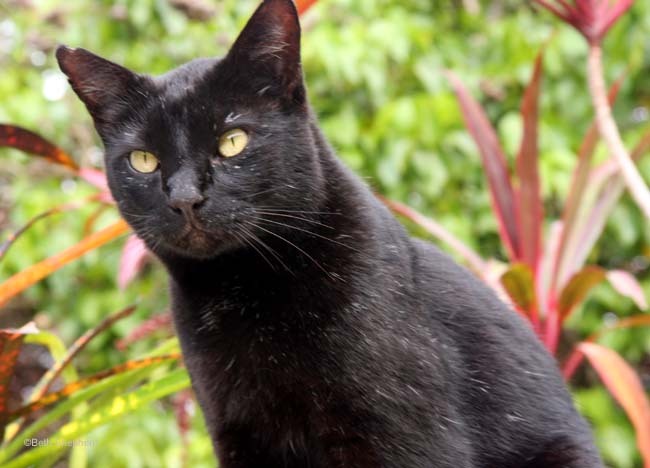 William of Kauai: Last, but definitely not least, one of the cats at our B&B. I was completely smitten with William and even started plotting a way to adopt him and bring him to the mainland. He was a love of a cat and spent every morning sitting on my lap at breakfast and every evening in the same spot watching the stars.